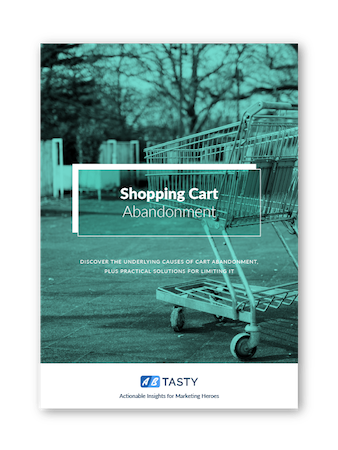 Shopping cart abandonment is a huge issue for the vast majority of e-commerce sites. Most people think that it's an unavoidable part of the digital sales process, and that it's useless to try and re-engage shoppers who have abandoned their cart. We disagree - and this ebook will explain why. Dive into our shopping cart abandonment primer for actionable tips on how to get the most profit from your e-commerce site.